Irish Company Hijacking Russian Domain Names from Swiss Watchmakers? 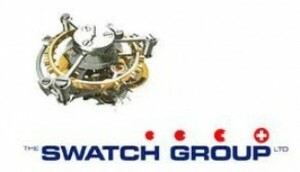 Tissot is the Latest Member of Swatch Group to Bring Charges against Holmrook, Ltd.
An Irish Company seems to have set its sights on Russian domain names that have been trademarked by makers of luxury Swiss watches who are members of The Swatch Group. Holmbrook Limited, a company based in Dublin, has found itself in legal battles brought by the brands Longines Watch Co., Rado Uhren and now Tissot AG for hijacking Russian (.ru) domain names that the watchmakers believe are rightfully theirs. In earlier proceedings, the Moscow Commerical Court sided with Longines and Rado, prohibiting Holmrook from using the domain names and awarding the claimants modest monetary damages, but Tissot has not been as successful. On December 6, 2011, the court ruled against the company, stating that Holmrook was neither the owner of the tissot.ru domain name, nor its administrator. Apparently, Holmrook had given the name and well as administration rights to an individual named Nikolai Mikhailyukov free of charge. Mikhailyukov has been using the site to post information about the French painter, James Jacques Joseph Tissot. 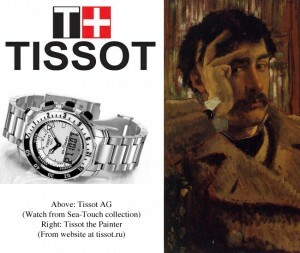 Tissot AG claims that the site was not dedicated to the painter until after charges had already been filed. Why Holmrook is targeting Swiss watchmakers is unclear; what the company even does is hard to pin down with a simple Google search. Holmrook Limited has no website, no Wikipedia page and no presence within social media. 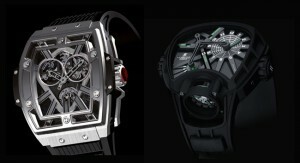 In fact, the bulk of its public activity seems to be defending itself in court against angry Swiss watchmakers. On his website, Levy makes the comment that these problems tend to abound in Russian web spaces, due to “lax copyright enforcement and a rampant counterfeiting industry.” His suggestion to businesses is to register any important trademarks in the .ru domain quickly, before cybersquatters do. 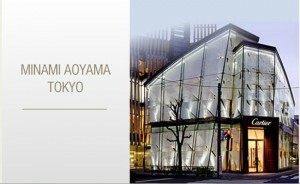 An appeal by Tissot was scheduled for Feb. 8, 2012 before the Russian Ninth Commercial Court of Appeals. And it’s a good bet that Omega, Union Glashütte, Breguet, Tourbillon, Calvin Klein and other Swatch Group companies are registering .ru domain names as quickly as possible. 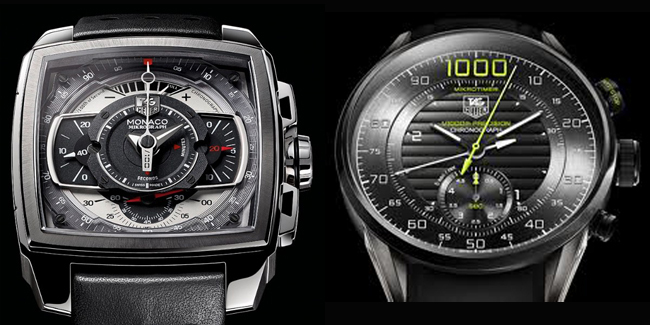 Posted on February 11, 2012 October 29, 2014 Author Luxury Watch ReporterCategories Breguet Watches, Luxury Watches, News, Omega Watches, Tissot Watches, WatchesTags Breguet, Calvin Klein, copyright, cybersquatting, domain names, DomainStrategy.com, Holmrook LImited, Irish, Jacques Tissot, Longines, luxury, Moscow Commercial Court, omega, Rado, Rado Uhren, Russian, Russian Ninth Commercial Court of Appeals, Steve Levy, Swiss, The Fair Winds Blog, The Swatch Group, Tissot, Tissot AG, tissot.ru, tourbillon, Union Glashutte, Watches, watchmaker, watchmakersLeave a comment on Irish Company Hijacking Russian Domain Names from Swiss Watchmakers? Tissot is the Latest Member of Swatch Group to Bring Charges against Holmrook, Ltd.
As Valentine’s Day approaches, Swiss watchmaker Tissot showcases their collection of fine women’s watches. Known for their unique design, Tissot’s watches could be the perfect signature Valentine’s gift. 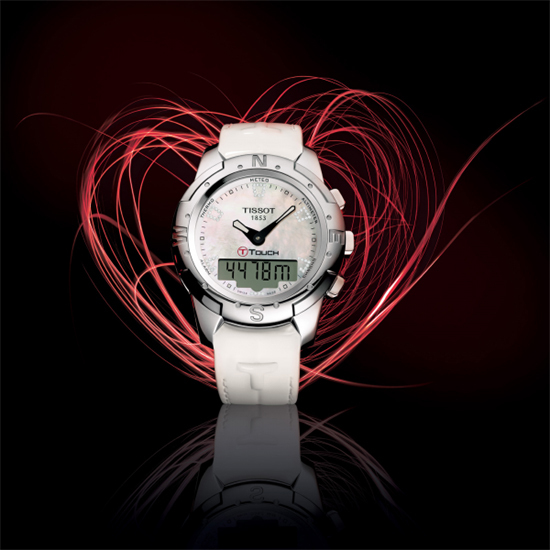 Last year, Tissot held a Valentine’s Day contest to give away one of their Tissot Lady Heart watches. The Lady Hearts have a heart-shaped cage on the face, making them a literal luxury watch valentine. But this year, Tissot is taking a new and more independent approach to the traditional holiday of love. The Tissot T-Touch Lady Diamonds is the perfect unique Valentine’s Day gift. 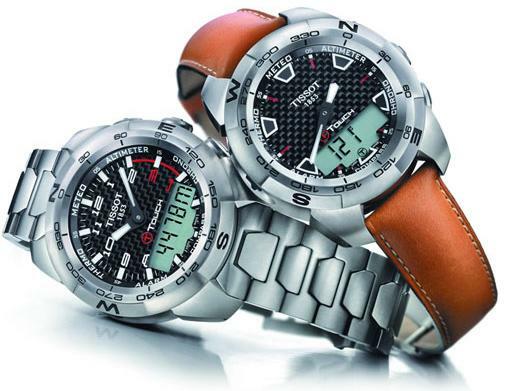 Tissot’s Valentine’s tribute combines Swiss timekeeping precision, advanced sport features and sophisticated design. Tissot says, “Through this gift you will be helping her reach for the stars, making sure she is never caught off guard by the cold winter temperatures and even shielding her from the storms ahead. But more importantly, no matter how far or high she goes, she will always be able to find her way back to you. Your love and protection will only be a touch away thanks to the timepiece’s amazing functions.” Those wishing to test out Tissot’s revolutionary touch technology can check out their app on the Apple App Store: Tissot T-Touch Expert. The fun app is free and simulates some of the features of the Tissot T-Touch watches. Luxury watchmaker Tissot has a long history of producing fine timepieces. The brand has been an industry leader and the partnerships the company has formed with it’s brand ambassadors is no exception. As the official timekeeper of NASCAR, it makes sense that one of Tissot’s sponsored people is Danica Patrick, the most successful woman in the history of American auto racing. Tissot is a luxury Swiss watchmaker that was founded in 1853. The company produced the first mass-produced pocket watch in 1853. Other firsts for the brand include the first watches made out of plastic, stone, mother of pearl, and wood. Tissot is the official timekeeper of organizations such as the Chinese Basketball Association, the Australian Football League, and NASCAR. Danica Patrick’s racing career began in 1992 as a 10 year old go-kart racer. At 16, Patrick moved to England and began racing in British national series events. On May 25 2005, after a return to the United States, Patrick became the fourth woman to compete in the Indianapolis 500. She also became the first woman to lead the race. In 2009, Patrick finished third at the Indianapolis 500, the highest finish ever for a woman at that race. She currently races within the NASCAR Nationwide Series. Danica Patrick is a Brand Ambassador for Tissot. The partnership between Tissot and Patrick is a long one. In addition to Patrick being a brand ambassador, Tissot has also been a sponsor in her career, serving as the primary sponsor on Patrick’s No. 7 Car in the 2011 NASCAR Nationwide Series. 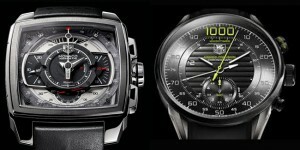 The PRC 200 (Danica Patrick 2011) is the watch associated with Tissot and Patrick. 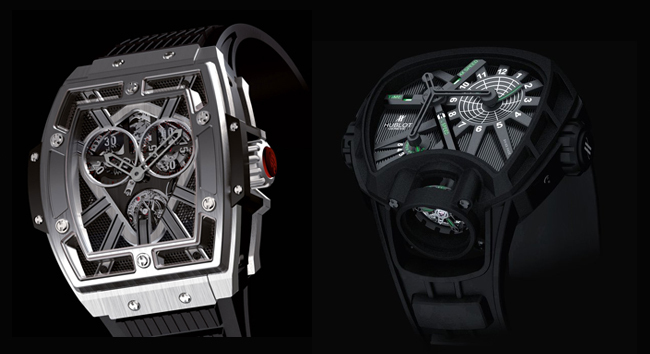 Tissot has a relationship with auto racing as well as having a reputation for being an innovative watchmaker. Because of this, it makes perfect sense in choosing Danica Patrick as one of it’s brand ambassadors. Patrick is an innovator in the field of auto racing, forging a new path in a sport that has traditionally been dominated by men. Tissot, a Swiss luxury watchmaker that is part of the Swatch group, has been selected to be the Official Watch Partner of the Jungfrau Railway’s Centenary, happening this year. 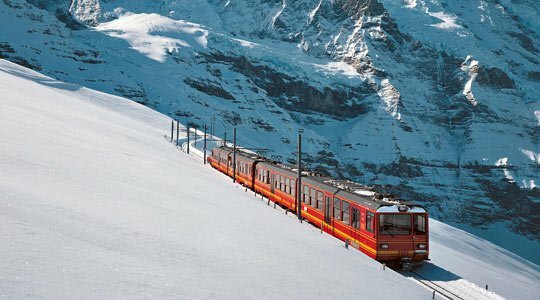 Jungfraubahn, the 5.8-mile mountain railway in Switzerland, was inaguarated on August 1, 1912, after 16 years of construction. This year, it will celebrate it’s 100th year in service, with Tissot as its official watch partner. The reason for such a partnership is the significant need for timing and precision on this, Europe’s highest-altitude railway. Climbing to over 3,000 meters above sea level, the ability to keep track of precise engineering is key to the Jungfrau Railway’s functionality. The company decided Tissot will be the perfect partner, so two of the Swiss watchmaker’s clocks will count down in the Jungfrau Region to the zero hour on Aug. 1 2012 to mark the railway’s 100th birthday. 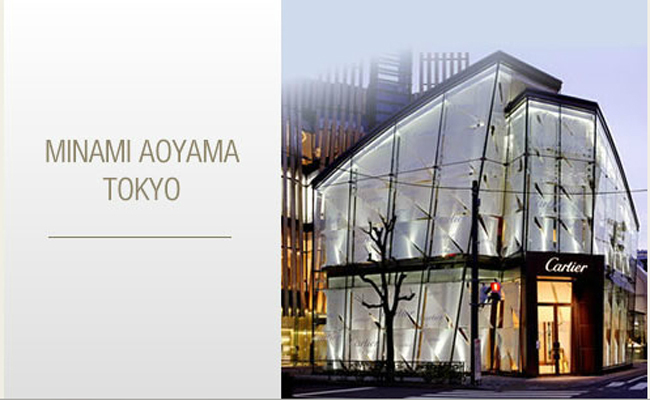 The partnership between the two companies is not unlikely; both are part of the UNESCO World Heritage. Moreso, despite its cold temperatures and frequent snowstorms, the railway station is a common attraction for tourists. Referred to as the top of Europe, Junfraujoch is a tourist melting pot, attracting hundreds of thousands of visitors from all over the world each year. Tissot and the Jungfrau Railway share roots of location as well as in values, such as unparalleled innovation and success in challenging climates (both literal and figurative). Unfavorable geographical settings and weather conditions are difficult landscapes for any conglomerate to prosper, but each stayed committed to producing a product for people that kept them at the top of their class. Some of Tissot’s innovations include introducing the first mass’produced pocket watch, as well as the first pocket watch with more than one time zone, in 1853. The manufacturer is also pioneer for the production of the first anti-magnetic watch in 1929. In terms of materials used in manufacturing, Tissot was the first to use plastic, stone, mother of pearl, and wood, all created throughout the 1970s and 1980s. The company’s partnership with the first railway to pioneer such high altitudes is certainly appropriate, as Tissot, too, has proven the ability to exceed expectations by reaching and surpassing people-pleasing limits.